Alex Rodriguez is standing so close to the 600 home run plateau that he can practically see the cleat marks of those few legends who climbed the mountain before him, including: Barry Bonds (762), Hank Aaron (755), Babe Ruth (714), Willie Mays (660), Ken Griffey, Jr. (630) and Sammy Sosa (609). It was almost exactly three years ago that gave himself one of the most amazing late-birthday presents possible when he earned admission into The 500 Home Run Club®. At 32 years and 8 days of age, he bested the previous youngest-ever club member – “The Beast” Jimmie Foxx – by nearly an entire year (Foxx did it in 32 years, 338 days). Now A-Rod, who turned 35 on July 27, is just one home run away from becoming the youngest player in major league history to reach the elite 600 Home Run Club. Looking back, Alex would be the first to admit that his attitude toward hitting home runs and his approach to baseball have changed a lot during the past three seasons. In 2007 he was a more selfish player, more intent on piling up prodigious numbers than earning the love of his teammates or the admiration of fans. "For me early on, I just thought it was about accumulating numbers," he reflected with a fair amount of regret. Rodriguez has readily acknowledged that he underwent a change in his philosophy after a trying spring of 2009, when he admitted using steroids from 2001-03 and missed playing time after a potentially career-ending hip surgery. 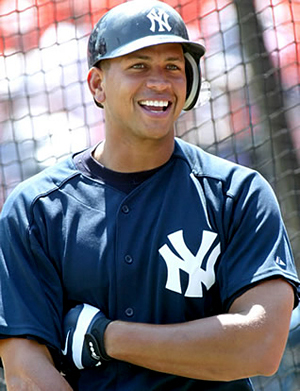 But all was forgiven after a strong comeback year, during which A-Rod shed his reputation for failing in the playoffs and led the Yankees to their first World Series title in a decade. Now, as Alex prepares to cruise by the next great home run marker (600), he says he’d rather focus on helping the New York Yankees win games than on milestones. "As I approach 600, the thing I think about is the perspective of where I was when I hit 500. How things are different now," he said. “It's a lot more rewarding because I’m looking at 600 as a springboard to help the team win." We love your attitude Alex. See you on the other side of 600! 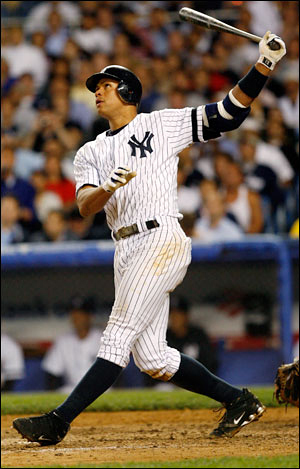 Editor’s Note: Wouldn’t it be cool to catch A-Rod’s 600th home run? We’ve found a way to improve your chances dramatically thanks to the applied technology of SeatGeek.com and HitTracker.com. Check out the accompanying 600HRC article “Best Seat In The House To Catch A-Rod’s 600th Home Run” to find out how you can put yourself in the best possible spot to retrieve A-Rod’s landmark blast…and be sure to bring your mitt to the game.